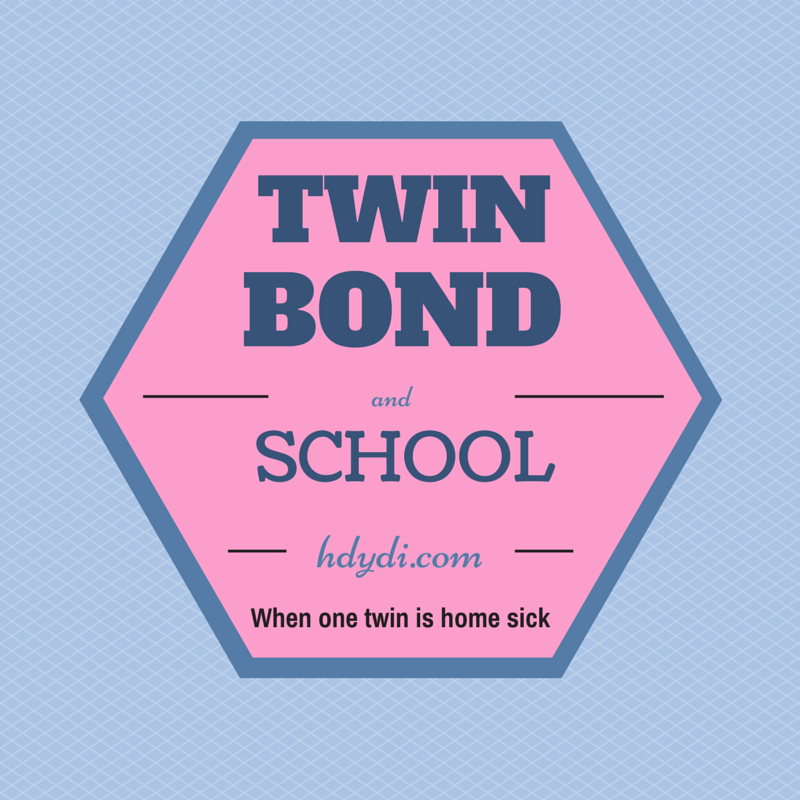 twin bond Archives | How Do You Do It? I’m sure we’ve all heard it before. We’ve heard it in those comments from strangers who said that they always wished they had a twin. We’ve heard it from other parents of multiples. We’ve heard it from multiples and twins themselves: there’s something very, very special about being a twin. It’s often this twin connection, this twin bond, that strangers like to inquire about – Do they have their own twin-speak? Is one more dominant? Do they like to hold hands or snuggle together? Do they get along? Do they always want to be together? A twin has a built-in playmate and, hopefully, a built-in best friend, too. I mean, twins can’t have a sibling any closer in age! And I know that I loved having siblings close in age to me (my sister is 16 months older than me, and my brother is 15 months older than her) as I spent so much time with them and they became my best friends. And I have to say this ultra special sibling connection is one of the greatest blessings and advantages about having twins. While twins are especially demanding in the first year or two of life, part of the reason I think they get easier with the passing days and months and years is that they have each other. As a parent, I don’t have to entertain them myself all day long. I don’t have to come up with things to do for them. They can play with each other. They can talk to each other. They are siblings, playmates, and best friends, as well as being twins. 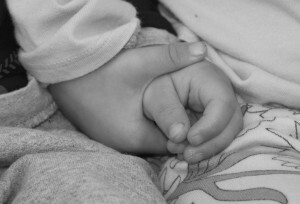 My twin daughters may not be identical, but they still have this great bond. Now, at the age of three years, I love hearing them play together, hearing them giggle, watching them smile, holding hands and hugging of their own fruition, apologizing, kissing boo-boos, and pretending. I love how they encourage each other (though sometimes it may mean double trouble for mom and dad! ), share, care, and love each other. My daughters will always have each other to share their lives with, step by step. It’s so unique! And I know it must be that bond, that connection, that people are often jealous of! They want their children or themselves to have a best friend for life. They want to have someone who has always been right there with them through all of their lives, through the good, the bad, and the wonderful. While I know that some twins don’t stay best friends forever (sad! ), and often end up going their separate ways, I hope that I can continue to foster their love and affection towards each other, so that when they are grown and have their own lives and families, they will still have each other, though maybe not in a physical way. Twins are a blessing indeed, aren’t they? Even if some days that blessing only seems to be for their benefit and not ours. Are your twins best friends? Do they share a special bond? What have you done to foster it through the passing years? ldskatelyn is the proud mama of twin daughters and a four-month old bouncing baby boy. She counts her multiple blessings everyday and love that her kids have each other, as she loved having all of her own eight siblings growing up! Find out more about her and her family at What’s up Fagans? J is grieving, an emotion too big for one so small. The dog next door succumbed to breast cancer today, and J is heartbroken. According to the pop psychology I know, J’s expression of her pain, while hard to watch, is healthy. 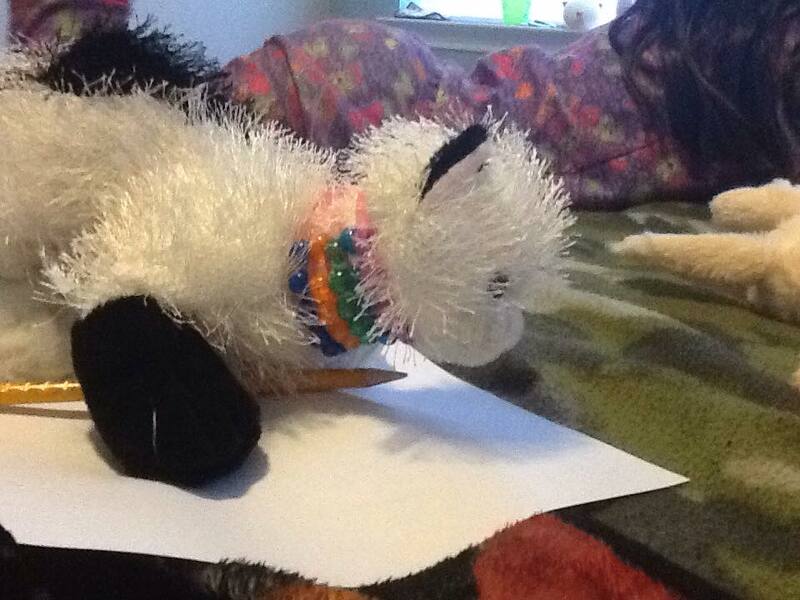 We talked about how much pain Chloe was in toward the end, and how her pain was now over. We talked about how the combination of sadness and anger that fills J right now is called grief. J asked if I would sleep in her bed tonight so she could feel snuggled. I agreed. She wanted me to go to bed when she did, she clarified. I agreed. Dishes can wait, and I can make up my workout. J’s grief extends beyond Chloe’s death to another dog’s cancer. A close friend’s dog, Pumpkin, is also suffering from cancer. This friend, however, lives some distance away, and it’s unlikely that we’ll have a chance to see Pumpkin again. Wrapped up in J’s feelings about Chloe’s death are also the grief of Pumpkin’s illness and pain of the vast distances between us and the friends we left behind when we moved last year. I’ve been holding J, listening to her, and acknowledging her feelings as best I know how. In the intensity of J’s grief, I’ll admit that I was glad that M was holding her own. As J moved from anger towards a quieter sadness, however, I began to worry at M’s complete lack of emotional response to the news of Chloe’s death. Instead of prodding her about it, I decided to let her deal with it in her own way, in her own time. Over dinner I began to see what was going on. M was too busy caring for J to deal with her own emotions. She made fart joke after fart joke in an effort to get J to laugh. She got up, unprompted, to throw herself over the back of J’s chair. Her silly action turned into a long and heartfelt hug. 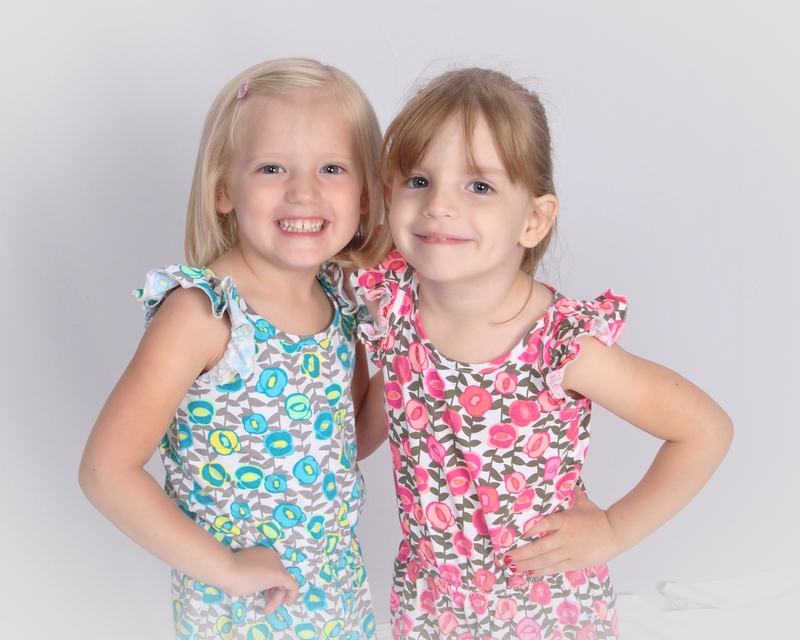 They’re only 5, but they shared a womb and every step since. They have a far deeper understanding of how to give one another comfort than I have at 32 years old, with 9 years of talk therapy under my belt. I had the opportunity to speak briefly with M at bedtime. She told me that she, too, was sad and worried. Emily inherited both Chloe the dog and the house next door when her sister died of cancer this summer. She had promised to care for Chloe. It had been clear to me, and apparently also to M, that her fresh grief was as much from the loss of her sister as of the dog. In the flood of emotion surrounding her, M empathizes, in her own way, with the story of the sisters next door, one still here and one gone but in her sister’s heart and the picture in my daughter’s mind. Sadia is the mother of identical twins M and J, aged 5. She comes, in part, from Bangladesh, where death is discussed with children as a matter of course. She has shared her past neuroses at Double the Fun, although she has since taken her personal blog private. There’s no denying the special bond that my twins share. Tiny and Buba are extremely close (as I’d hoped they’d be) and love each other dearly. Sure, they fight- sometimes quite a bit- but when it’s over, it’s over. Life goes on and they’re more than happy to snuggle together and read books or make up a new game to play. They started playing together at an early age- before most of their singleton friends were ready or interested in playing with either of them- and I have no doubt in my mind, that at the age of 3.5, they are each other’s best friend. But over the summer, while we were attending group playdates with the kids who are now their preschool classmates, Tiny began to make new friends. Now, almost three months into the school year, Tiny has two other good friends who she looks forward to seeing at school and who look forward to seeing her. Buba has very little interest in playing with these kids. He has told me more than once that he has been sad at school because he wants to play with Tiny, and just Tiny. As Tiny’s friendship with her two new friends has grown, Buba has had more and more weepy days at preschool. However, his teachers report that he is well liked by his classmates. Buba enjoys singing and drumming and acting silly, which his classmates love and think is hilarious. He seems to get a lot of laughs and attention when he’s singing new, silly words to familiar tunes (something we’ve been doing at home for a long time), but has yet to make a real friendship sort of connection with any of his classmates. In general, I’m not too worried about this. I know that preschoolers will all develop socially in their own way and time. But it does break my heart a little bit to hear that he’s been feeling sad at school. I’m sure if he were a singleton, he wouldn’t care about other kids playing together while he played alone or parallel to other children. But watching his sister, his best friend, go off and play with others is not so easy to dismiss. I wish there was something I could do to help him through this. I’ve asked if he’d like to invite a friend from school to have a playdate at our house, but at this point, he’s not really interested. Hopefully, as the year goes on, he will form some new friendships of his own. He may not be the kind of kid who wants to be everybody’s friend, and that’s okay. I just hope he can find a way to be happy in those moments where Tiny is off doing her own thing. *reanbean is a mostly stay at home mom to g/b twins, Tiny and Buba, who also works very part-time as a private tutor. She blogs about their lives as often as possible at: http://www.reanbean.com/. **The above photo was taken by a mom at Tiny and Buba’s preschool and shows Tiny holding Buba’s hand during circle time on the rug.